And the people below, so small, so timid. From the topmost point back to the solid earth. She would touch the heights. Can you feel the void? One more collaboration by my friend and I. One more breakup poem where A is me and S is my friend’s part. Not for me, for someone other. But I still trust you, hope you do the same. S: But can you feel the void between us? Will it last for days we are left with? But did you feel the warmth of my promise? But did you heed the distance between us? So my friend was in a really bad mood and wanted to write something. Together we came up with this where ‘S’ is my friend and ‘A’ is me. For you, all this while. From my life, do not depart. only to tear it apart. We need to find our way back to the start. Coz in my new life you won’t even exist. My arms will stay wide open forever still. This day is nothing but your own implication. No thoughts of a futuristic lover. But I did not know right or wrong. Where did my sense go? Always feeling a little danger. With an imperfectly perfect harmony I will survive. and a different life she gave to the shades. with all her shades, he was impressed. The writer’s block has hit me real hard. I haven’t written for a long time. Now with the onset of National Poetry Writing Month I decided to why not give my poetic side one more chance. SO now, I start of with his really simple poem. Wish me luck guys, to write start writing poems again. and took away the pain. Enough to sweep me off the floor. You were all I needed. where his life is at stake. in little child’s strong eyes. only wait for the father to return. son will make her proud. pricking the flesh which touched them. but the strong, powerful, protecting thorns. the spirits that touched my vulnerable soul. as the rose, dead too, still there it lies. Both morbid and beautiful at once, this incantatory word means “You bury me,” a declaration of one’s hope that they’ll die before another person because of how difficult it would be to live without them. Her blog has a simple tagline ‘Blessitude: I am so glad and full of gratitude’ I think this speaks for itself. She was diagnosed with Lyme’s Disease. But, unlike some, she did not let it take over her. she is a really positive soul who believes in optimism and knows that life has much more to offer. She writes some amazing poetry and especially her haikus are a treat for the soul. Please do visit her blog if you want to read some really good, meaningful and touching poems. Write a small introductory paragraph of the bloggers you invite…include their link and photo…and you pick the date that they will post. My main priority is this blog which I had no intentions of taking this far. Apart from blogging I am writing poems to submit in various magazines and anthologies. I will notify you once, perhaps if, I get published. How does my work differ from others of the same genre? There’s a saying- ‘To each, his own.’ I don’t know if it means what I think it is. But I write my thought which are obviously different from others. People say that their work defines them. For me, my work sometimes define me, sometimes portrays opposite of my personality, sometimes what I would like to become. But in the end, it is just what I feel like writing. Why do I write/do what I do? I write when I got nothing else to do. I write when I have so much work to do. Mostly, I write to relieve the pressure. I write just because I want to. I think it’s a little old-fashioned but I generally prefer to make a first the first draft on paper. When I am satisfied with it, I type it out. Usually a line or a thought comes out of the blue. But when it doesn’t I tend to go for the prompts. It’s a good thing on wordpress that people always inspire me to write more. The essentials: Kimberly, currently live in the Northwest Burbs of Illinois, divorced with two boys – one 19, the other 16, has a three-legged dog. She write lovely poems above life, love and about her really cute dog. Her short and sweet poems have such deep messages. With a great tagline of his blog ‘Truth as it is’, he does represent his blog truthfully. Writing about life and a lot of true incidents, his poetry portrays a real picture of life, good or bad. I am sorry I have only 2 recommendations. I had no internet connection for a long time so I couldn’t contact people. But the above recommendation truly deserve it. Mamihlapinatapei mean “The wordless, yet meaningful look shared by two people who both desire to initiate something but are both reluctant to start.” This word was suggested by Mindlovemisery’s Menagerie prompt #62. Also the poetry format I used is called Lanturne Poem. The Lanturne is a five-line verse shaped like a Japanese lantern with a syllabic pattern of one, two, three, four, one. Anoop at ‘Tranquil Yet Alive’ nominated me for this lovely award. It hasn’t been long since I followed his blog. But, in this short time I can say that he is a brilliant writer, a great person and a automobile-maniac. He has a great blog where he writes about many aspects of life, hobbies, and interests. One of my favourite post by him: ‘Date A Man Who Rides A Bullet’. It actually tells about his deep passion for his bike. He has an amazing blog which you would not like to miss out on. Imabookworm and Dragonspark at http://imab00kworm.wordpress.com/ nominated me for the Leibster Award. As always, it feels great to be nominated. Thank you so much guys for considering me 🙂 Both Imabookworm and Dragonspark are fabulous writers. They write both fiction and poetry. Some great post by them are Mini-messy and Russian Snowflake. Nominate small (no more than 200 followers) blogs who you feel deserve to be noticed and leave a comment on their blog letting them know that they have been chosen. Display the Liebster Award logo. No tag-backs, meaning you can’t just re-nominate the person who nominated you. No. And I would hate anybody who come in close proximity to these things especially cigars and drugs. So yes, money is a big responsibility but also, a necessity. 3. What is your passion? What do you like to do the most apart from eating and sleeping? Reading, writing, music, and imagining stuff. I would say that I dream a lot. Even if I know that those things are not going to happen, still it feel great to think about good possibilities. 4. What quality of your best friend/friends do you admire? My best friend: She is a troublemaker. But, when she gets into trouble, she always has a way to get out of it. That’s the best thing about her. Apart for that, she has a great sense of humour and I always have a great time with her. 5. Have you ever felt guilty for doing something in life that keeps troubling you even now? I don’t like to go on guilt-trips. If something’s already been done, there is no point in feeling guilty about stuff you can no more change. 6. What is that one good thing that you can proudly say to anyone about yourself, I mean a lesson from your life that people can learn? 7. Have you ever been in a relationship with someone? If yes what did you learn/admire / hate about being in a relationship? No relationship so far and I don’t think I intend to have one in near future. I just hate that they don’t last. My sister: she is the best. Being the elder child, she suffered a lot of parental pressure but yet, she turned out to be a great person and a great sister. I admire her and I love her. Honestly, I don’t know. My nature changes with the people I am with. With some, I am a crazy, funny, risk-taking girl. With stranger, I am completely serious. With people I know but I don’t really talk to, I am shy. So that’s all of them. 10. If you were given a chance to go out on a dinner with, Who would that lucky one be? Enrique Iglesias. I love his music and I love his voice. 11. Which is your favorite post from your blog? If I would insist that you pick one out of the lot. Which one would that be? What’s a good book ending/ what’s the best book ending you’ve read? There are many I would say. But this time I’ll go with ‘Angels and Demons’ by Dan Brown. I mean, with the last 100 pages I had such adrenaline rush going. What’s the most interesting thing you’ve ever done or that has ever happened to you? Not that I can recall right now. It’s been a year since I started reading books again and in the past month I have read 12 books which feels great. And pretty interesting for me too. What is/would be (if you had one) first on your bucket list? I got a huge bucket list. But the first is pretty much to get into college. Once that is done, I can easily move on to other things like learn swimming, run a marathon, travel the world and it goes on. I would like to stop racism and sexism. It does sound preachy, but this is something which is destroying the lives of so many people. What time period would you live in if you had the choice (“now” and “the future” are not valid answers) and why? If in the past, I would go to the time of Adam and Eve, see how it’s like to be the first ever human race possible. In future, I want the time when we can actually record our dreams. It would be so cool to record all the weird stuff we imagine. You’re stranded on a desert island with four books, two movies, and an album. What are they? I don’t think I would watch movies when I have books and music with me. But the movies I can say are Bandidas (I can watch it as many time as I can), Knight and Day (One of the very few I have watched) or anything with Johnny Depp would do. Album(s): I just won’t agree with taking just one. You have got to understand, it’s a lonely island. So I would go with Night Vision by Imagine dragons, One of the boys by Katy Perry and any one by Enrique Iglesias. If you could play any role in any movie, what would that role be and why? There’s a movie ‘Bandidas’. It’s such a great movie. Penelope Cruz and Salma Hayak are riding horses, shooting, aiming knifes at people. Basically, everything I would love to do (not the stealing part though). Plus, I find the movie really funny. You can go on a three week road trip. Where are you going and what’s your ride? Europe. I have no idea if you can cover France, Switzerland, Italy in a single road trip. But, I would sure like to visit these places. It’s the best day of your life. What happens? My phone, earphone and something for an internet connection. Yep, I am officially addicted to this stuff. 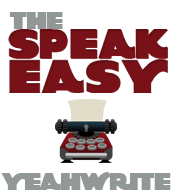 I figured you might have gotten tired with the “why do you blog?” (either DragonSpark too or he just didn’t think about it) but if you want to answer it as a bonus question feel free. I started out as a random hear-me-out kind of approach. But, later I realized that maybe my poems have started to be a little meaningful. So, now I blog to show my poems. Also, I get to stay in touch with some really cool people. 1.What is your passion? What do you like to do the most apart from eating and sleeping? 2.What quality of your best friend/friends do you admire? Whom do you admire the most in your family? Which one book character you would want to be like? Pick a favourite lyrics from a song. 9. What was the last movie or TV show that made you laugh out loud? 11 . Which is your favorite post from your blog? If I would insist that you pick one out of the lot. Which one would that be? How far can my eyes reach? only to rise a little more higher. She is on the hunt, a hunt for the spark. It’s the beginning of a new start. Spirits revived, heart beating like a drum. I’ll find my heart where it was lost. 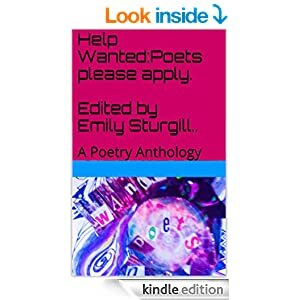 Three of my poems are published in the anthology ‘Help Wanted: Poets Please Apply’. The anthology was headed by Emily Sturgill at http://sexinthekitchensink.wordpress.com. Do check this out to see some wonderful poems by some wonderful bloggers. Also, the anthology will be free to download on June 27-30. So do check this out. Say no to drugs by Abhilasha S.
Should have said yes to life. June 26 is International Day Against Drug Abuse and Illicit Trafficking. Now, this poem did not turn out as I wanted it too. But, you get the idea that you should say no to drugs, right? With the combined efforts of my other poet friends, “Help Wanted:Poets please Apply.” is available on the kindle. And I just re-submitted files for the paperback version. The regular price of the Kindle version is only 99 cents. But today YOU can download it for FREE. Just for today. As an added bonus-it will also be free June 27-30th, later this week. She would say and leave my sight. For sorrow, my smile was the guise. An angel called hope, to set me free. It says that it gets better. Hope keeps the key to the door of my soul. They will then stand and stare. They will look with awe. They will try to belittle me. but, to rise up again. I need to turn things around. in the world, I walk with pride. and the steps I am still taking.